If you have frequented hair forums or groups, for more than one week, then you have seen posts about Jamaican Black Castor oil aka JBCO. You have probably read many testimonies in which someone says it helped them grow their hair longer. Many women have written testimonies about Jamaican Black Castor Oil growing their edges back. JBCO is widely used as a hair growth agent and hair softener. But what exactly is JBCO and how does it differ from regular castor oil? You will find several makers of JBCO. Jamacian Black castor oil is made from the castor bean plant. The way in which it is extracted from the castor bean is by using high amounts of heat. The oil is kept at high heat for so long that it develops ash. This ash makes the oil appear a little darker in color. The makers of this refined oil claim that the ash content, which develops in the oil, is what causes the hair to grow. These are the claims of Tropical Traditions makers of a JBCO product. Cold pressed castor oil is extracted from the castor bean plant using a pressing method. High heat is not used during the cold pressed procedure, therefore the castor retains it amazing benefits. We know that the longer you cook food on high heat the more of the nutritional properties you destroy. Natural oils fall under the same law. So when choosing any type of natural oil you always want to look for a unrefined cold pressed oil. This is the best choice for your money. 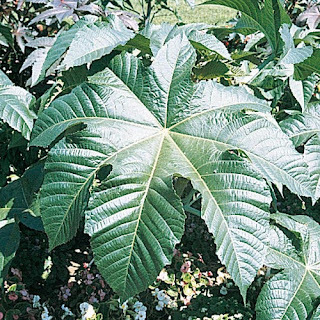 Both JBCO and castor oil are made from the same castor bean plant. The big difference in the two oils is how it is extracted from the castor bean plant. Cold pressed is a better buy. JBCO is overpriced refined castor oil. Which is better for the hair? Cold pressed castor has more benefits for the hair and body than the over processed JBCO. You also get more product for your money by purchasing cold pressed castor oil. On average JBCO cost around $7.99 for 4 ounces. This is overpriced for castor oil. You are paying to much money for burnt oil. Full of fatty acids which nourish the scalp and prevents it from drying out. Anti inflammatory, soothes inflamed skin. The castor oil I use and recommend is by Home Health, I purchased a large 32 ounce for 12.99. Much better value and quality castor oil. ORDER HERE! Great article! I believe they both work well with my hair, but I use castor oil a lot. That little JBCO bottle would last me a good two months. I'm glad I purchase the regular bottle of castor oil from the health food store for way less than JBCO. Cost effective and it works just as well. Thanks for the information. Also you are getting more benefits with a good quality oil. Both oils cannot work the same. If a product is depleted of it benefits then how can it work....Now I believe this about JBCO, I think it is regular castor oil, sold at a higher price. No way a refined oil cooked to ash can work as well as a proper prepared oil. You can research any site that talks about natural oil and how to make them and you will find this to be true. So I think they are selling you regular castor oil at a higher price. When I look at my bottle of JBCO the contents say castor oil. When I compared the color of the JBCO with my regular cold pressed castor oil the color is the same. I see no "ash content" in my bottle of JBCO. So I conclude that they are selling regular good castor oil labeled with the JBCO name. They know that many believe in the name JBCO so they will sell more product. This is the only theory that makes sense to me. WOW Vee! I never saw it this way! How ENLIGHTENING!! I BELIEVE IN CASTOR OIL AND ITS BENEFITS. It's a very expensive oil in my country based on how it's prepared, it's not easy. My neighbor makes it to sell and my father makes me my coconut oil. I cannot do without these two oils and don't even care to purchase them from the drug store but after reading this article it's raised a lot of questions and your conclusion isn't far fetched. It makes sense and I'm gonna look into it some more. Thank you so much. So much information...how can I thank you for this. Nice article and search never saw it that way, I have only tried JBCO still on my first bottle, tried it because of its promising benefits I get from other ladies on hair care journey. Want to ask is now foods solution castor oil cold pressed because I saw these on an online store of hair products in my country as Expeller-Pressed and Hexane-Free Condition? Please need your reply thanks Vee. I've read a few articles and this is the most clear and to the point. Thank you!